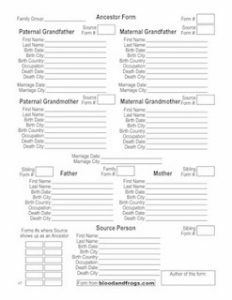 In the the run up to next week’s IAJGS International Conference on Jewish Genealogy in Boston, expect various groups to be releasing new databases to help Jewish genealogists. One new database that was just released is JewishGen’s Memorial Plaque Database. Organized by Nolan Altman, the database is an attempt to gather all the information on memorial plaques found in synagogues and other Jewish institutions. 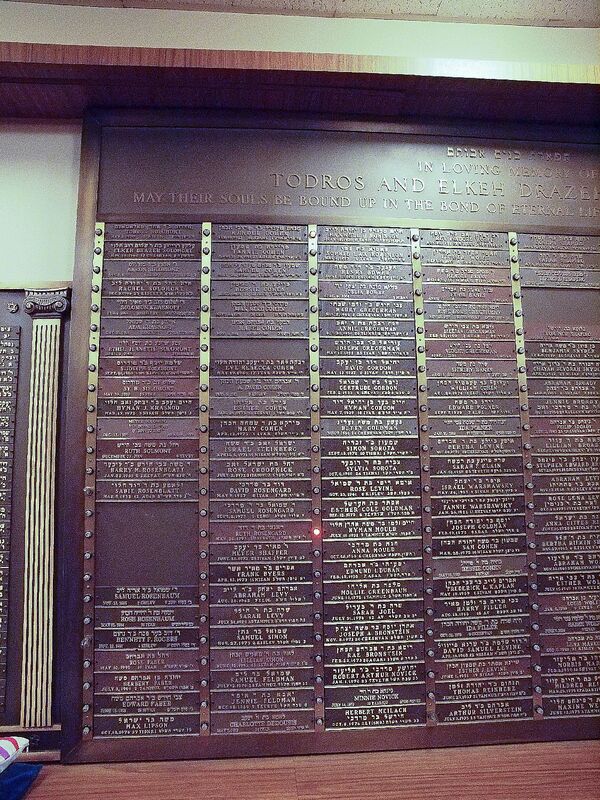 Many synagogues plague a plaque on their wall for each member who dies, to record their yahrzeit date (the day a family member says kaddish for them). These plaques contain very important information for Jewish genealogists, including the person’s name (in the US usually in English and Hebrew), and in most cases the name of the father of the deceased (at least in Hebrew). 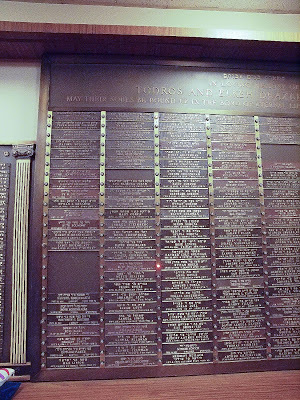 When synagogues close, these plaques with their unique information are frequently thrown out, although sometimes are put up in other synagogues or institutes. Collecting the information from these plaques now is a great effort, and something whose time has come. 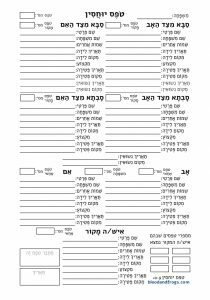 There has been discussion for years about collecting this information from various people involved in Jewish genealogy, so kudos to JewishGen for taking up the gauntlet and getting the project started. For the launch of the database, there are nearly 30,000 names listed. These come from the US, Israel and Canada. About half of the names collected so far come from the Boston area, whose local Jewish genealogy group made an effort to collect the names in the run up to the conference, and collected 16,000 names from 30 different institutions. If you’re interested in photographing and indexing the memorial plaques in your local synagogue, you can do so and contribute the data to this effort. Synagogues who want to contribute this information to the database can add information about their synagogue to the memorial plaque web site, in order to get traffic from those people searching for family members. My only concern with the database right now is that the images they provide are not big enough to read the information directly from the photographs. Many times relatives are grouped together in these memorial walls, and it would be useful to see the images in higher resolution so one could read all the plaques and see who is located nearby on the wall. Hopefully this can be remedied in the future. For more information, go to the web site, or contact the project coordinator, Nolan Altman.